On behalf of our member companies that provide more than 1 million jobs in the state and make the New Jersey Business & Industry Association (NJBIA) the largest statewide business association in the country, we appreciate efforts to address the complex issue of out-of-network medical bills and healthcare costs. The Association places a strong and consistent focus on the quality and affordability of health insurance in New Jersey. The cost of providing health coverage to employees is one of the most significant challenges facing employers today. It is consistently ranked the biggest problem facing our members in both our Health Benefits and Business Outlook Surveys. Affordability is Critical – Some employers fear that the next renewal will force them to drop coverage because the rate increase will be more than they can cope with – in our 2016 Health Benefits Survey, employers reported that overall healthcare costs continue to increase by double digits, rising by an average of 10.5 percent. Our small business members were hardest hit, and saw their costs rise by an average of 12.3 percent. Out-of-network costs play an increasingly significant role in the rising cost of healthcare for both large and small employers in New Jersey, triggering both higher premiums and out of pocket expenses. According to our survey, the average cost for employee only coverage was $7,044 and $17,580 for family coverage. The cost of health insurance premiums reached $7,663 for single HMO coverage and $21,911 for family coverage in the Northeast in 2017, according to the Kaiser Family Foundation (KFF) and the Health Research & Educational Trust (HRET) annual survey. The national average for all plans is $6,690 for single coverage and $18,764 for family coverage. Employers are Committed to Providing Health Benefits Coverage – NJBIA members want to provide health benefits as a way to attract and keep good employees. Employers recognize the competitive value to provide this benefit in a demanding market where skilled employees can be scarce. They continue to make sacrifices in order to offer coverage despite cost increases. Our survey found that 33 percent of our member companies lowered profits, 29 percent limited raises for employees and 15 percent delayed investments in order to afford to provide this benefit for employees. 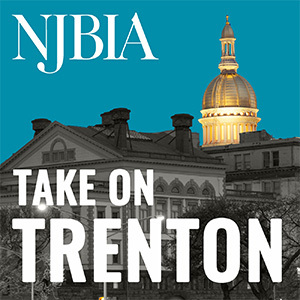 NJBIA has joined together with a broad coalition of stakeholders – consumer groups, public employee unions, trade unions and other employer associations – to enact balanced and effective out-of-network reforms. Transparency – NJBIA believes that price transparency is an important step in the transformation of healthcare. If consumers have access to information about the cost of health care services, along with quality information, they can be more engaged and discerning in their healthcare decisions. However, consumers will need the tools and information to comparison shop. Consideration should be made to expanding the consumers’ access to information and better ensure advance notice that a healthcare provider is out-of-network. These include: disclosures by providers and facilities about network status, possible financial responsibility, description of the services and estimate of the cost. Fair resolution to disputed charges – New Jersey law protects consumers who buy fully insured health plans so that consumers who “follow the rules” by using in-network hospitals, will not be hit with unexpected healthcare charges from out-of-network providers. They just pay their in-network co-pay. The same is true for emergency room visits. However, this protection comes at a cost to the purchaser in the form of higher health insurance premiums. Here’s how: the bill is ultimately paid by the health insurance carrier, but often the amount is billed charges (the highest rates provider charge). Ultimately these costs drive up health insurances premiums. Estimating the impact of these claims on small employers’ premiums has been elusive, but the effect is clear. Rates for small employers in New Jersey are higher than large employers and higher than surrounding states, which supports the conclusions that New Jersey has unique and identifiable factors driving rates higher for our small employers. The solution is to strike a fair balance to ensure that facility-based providers are reasonably compensated, but also ensures that consumers or their insurers are not hit with unexpected, nonnegotiable bills which drive small employer health insurance premiums even higher. Conclusion – We recognize that some in the healthcare provider community continue to have concerns with the legislation, and that there are many different sides to the issue. In trying to balance the interests of all our members, NJBIA has supported out-of-network reform for many years because of the direct impact it will have on healthcare costs. This legislation is necessary not only for employers, employees and all consumers, but also for the State to realize savings in the public employee health benefits plans. In 2015, statewide out-of-network costs exceeded $1 billion. Ultimately, these costs impact every taxpayer in New Jersey. Thank you for allowing NJBIA to present this information today, and for your consideration of our remarks.